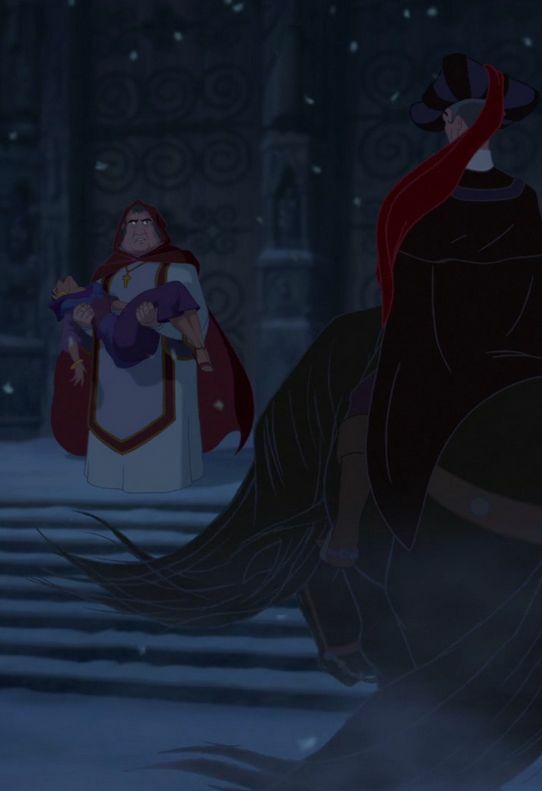 A few days ago Katie and I were chatting on Facebook and I mentioned that Disney is planning to do a live-action remake of ‘The Hunchback of Notre Dame’ (are we even surprised anymore?). We chatted a bit about who Disney would cast and then had the idea of collabing on a blog post talking about our dream cast. 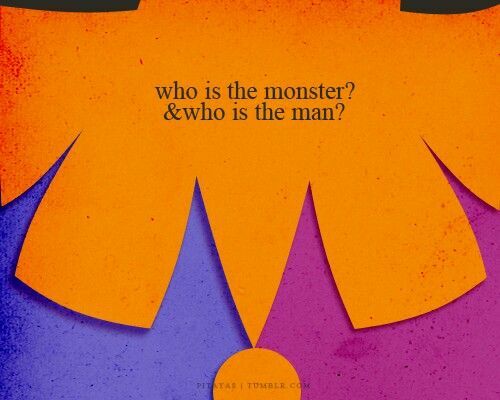 aka most powerful line in the musical. Ahhhhhhhhh, Andrew Keenan-Bolger . . . if you’ve seen him in Newsies or Tuck Everlasting, you know why we adore him so, the precious bean. (The smile alone is worth a million bucks.) More importantly, you know the man can SING. And you know he can play physically disabled characters with a convincing mixture of vulnerability & spirit (Crutchie!!!) We think he’d be a perfect Quasimodo. Tell me you don’t want to see Peter Capaldi’s face twisted with rage and agony and desperate desire in a firelit room with crazy shadows morphing into demons and pitchforks and what not. GO ON AND TELL ME. ‘Cause I won’t believe you. 😛 This guy was born to play Frollo. Eva and Katie have spoken, and it must and shall be so. No, Zendaya isn’t Romani. And I respect the opinion that this fact could disqualify her. 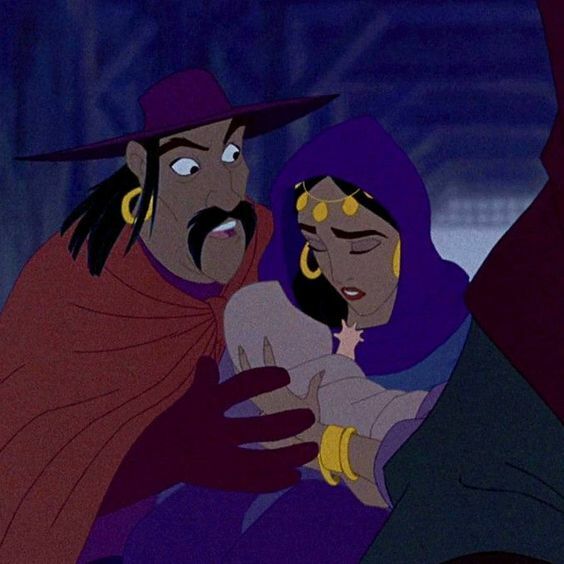 But, as a person of color, I believe she could bring the requisite personal experience of racial oppression to the role of Esmeralda–and, guys, I’m just really really really in love with her singing okay. I mean??? Greatest Showman??? A little movie y’all may or may not have heard of??? If I could hear that soft, husky voice of hers do the high note at the end of “God Help the Outcasts” I would die happy and never ask for anything more in this world. I’m actually hoping that Disney excises the gargoyles in favor of some toned-down, mood-appropriate comic relief (maybe Lin’s Clopin) but if they decide not to…I have the perfect voice cast. *smirks* Alan Tudyk, Hank Azaria, and Angela Lansbury are all seasoned voice actors and Tudyk and Lansbury have already voiced characters in Disney movies. The Archdeacon – Leslie Odom Jr.
No role is too small to escape the scrutiny of Eva and Katie! Muahahaha. We both think that Gal Gadot is perfect to play Quasimodo’s mother. With her accent and dark hair, she could be a believable Gypsy. And her natural charm and warmth would make her death all the more tragic. So, do you agree with our casting choices? 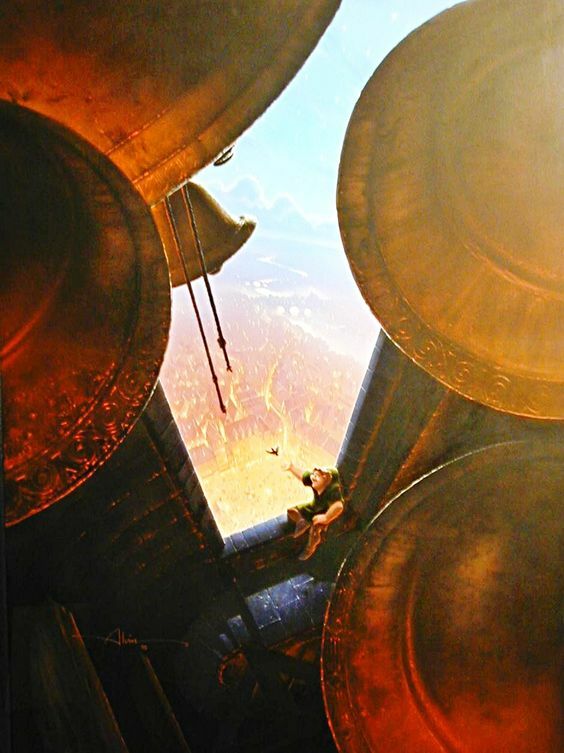 Who do you hope to see in Disney’s live-action ‘Hunchback of Notre Dame’? 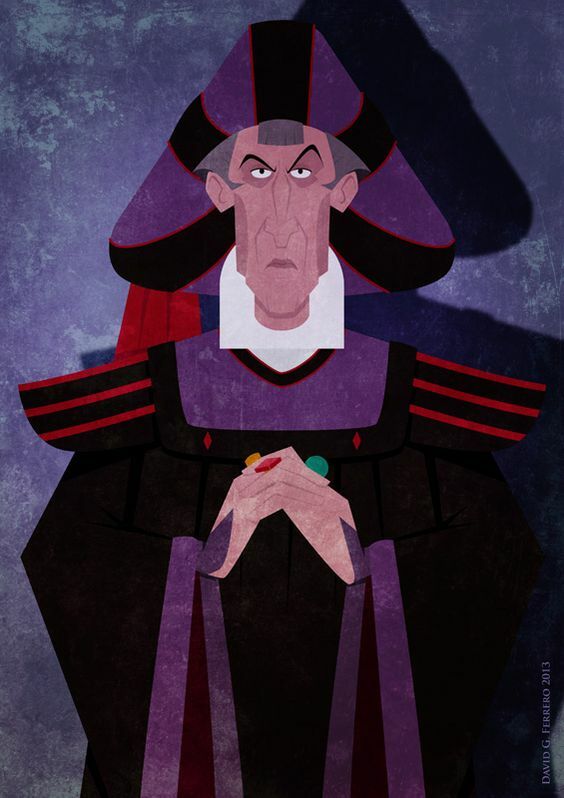 (*clears throat softly*) Hello, I just had to pop in and say that I love Peter Capaldi with all my heart, BUT I WANT HIM TO PLAY FROLLO TOO!!!! XD XD XD And I haven’t even seen THoND–but I know enough about it and I’ve seen enough clips to safely say he’d be perfect in the role! Yes, it’d definitely be disconcerting for those of us who nurse absolutely incurable crushes on the man (*coughcoughcough*), but in the interest of Accurate and Appropriate Casting, I support it 100%. I’ve actually maintained since the film was announced that Gal Gadot should be Esmerelda–but when you mentioned Zendaya I thought, “OOOH! I like it!” As for Leslie Odom Jr., I don’t think the fact that he’s a POC would be an obstacle at all. After all, Javert has been played by POC on stage, the real Alexander Hamilton certainly wasn’t POC, and there were several POC characters in Cinderella and The Beauty and the Beast in spite of certain locations/implied time periods. I got a big kick out of watching him in Paddington, heehee. But if you want a good example of him in a much more complex role (and portraying an enormous amount of passionate anger and sorrow) all at the same time, you should definitely watch this quick scene from one of my favorite Doctor Who episodes (https://www.youtube.com/watch?v=BJP9o4BEziI). He’s just so good, so talented, much wow. Yeah, I think that at this point in human history, “traditionally white roles” aren’t a big a deal anymore–and THAT’S A VERY GOOD THING. Of course, when it comes to a film or a TV show that’s striving to be super-historically accurate–like, say, “The Crown”–it obviously wouldn’t make sense to have a POC in the role of Queen Elizabeth II. But when you’re dealing with musicals (“Hamilton”), Disney remakes (“Cinderella”), or even Shakespeare (Tom Hiddleston’s version of Henry V has a marvelously talented POC playing one of Henry’s allies! ), all stories that are very artistic and open to different methods of interpretation, I say GO FOR IT! Welp, Peter Capaldi moved me to tears in four minutes with absolutely no context. This was a really fun post. I agree with almost all of it. 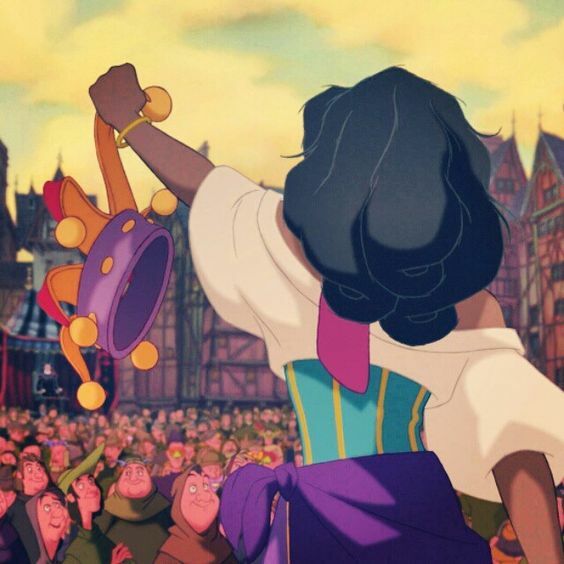 My only big like “no” was to Zendaya as Esmerelda. I’m really honestly tired of her, and I think they need to find someone who has a slightly more sophisticated persona. That’s just me tho. I especially love your casting for Quasi. Have you seen ‘The Greatest Showman’? She brings gravity to Anne’s character. I’m still sold on her portraying Esmerelda. 🙂 But everyone has their own opinion! And yes I have, I didn’t love her in it. I think maybe I’m tired of the strong independent bold young woman type? 😂 idk. AHHHH!! I LOVE THIS JOINT POST SO MUCH. This was such a fun idea. And the casting choices are amazing! I LOVE THIS CAST, KATIE. YES!!!! I never liked THoND (maybe because a certain song terrified me), but I’ve just reccently begun to love it!! I haven’t seen it in forever, but I have been thinking about it a lot and listening to the music. I’m so excited to hear that they are going to make a live-action version! But, I’m not sure how well they will be able to do all the amazing colors. Anyway, I agree 100% with you and Katie!!! All of those actors would do a great job with those parts!!! I really hope someone from Disney sees this… that would be amazing!! I just watched it last night and it’s sooooo good. (Rewatch, but yeah.) I loooove all the colors, like you mentioned. The animators outdid themselves. Thanks! PLEASE TAKE NOTICE, DISNEY. I must have missed the news that they’re making a live action version of this movie. 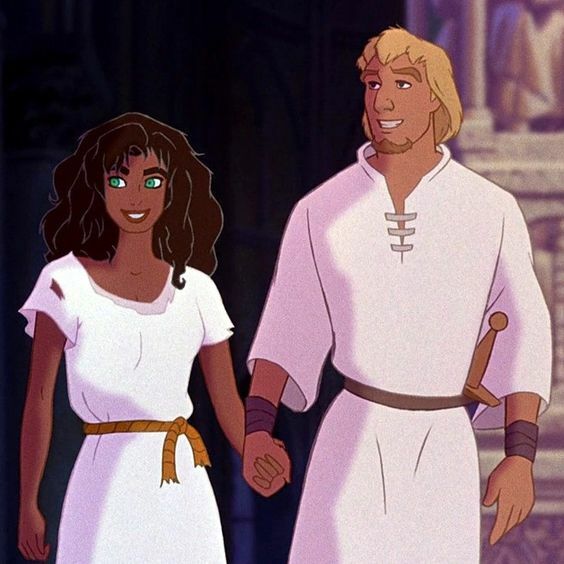 I can’t help but be curious how dark they’re going to go with this remake, because the animated movie is easily the darkest movie in Disney’s animation history. And that’s part of what makes it so good. 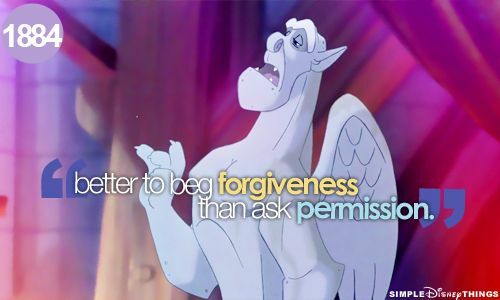 Also I agree with the gargoyles – they’re what held the movie back the most. That said, if you toned the gargoyles down, and strongly hinted that their movements and personalities are only a figment of Quasimodo’s imagination, without confirming as such, it could add another layer to Quasimodo’s personality. I left a longer comment on Katie’s blog, but THIS IS VERY EXCITING!! 😀 I’m in wholehearted agreement for a lot of these, and only a little unsure about a few of them. ~ And, the one I’m most “leery” of is–ahh, you won’t like this xD–Tom Felton as Phoebus. I’M SORRY! I just can’t see it. BUT, I’ve only ever seen him in negative roles, so maybe that’s part of why. Yeah, I get where you’re coming from with Zendaya but I still think she’d be amazing in the role. I also wouldn’t mind Ciara Renee playing Esmeralda – she played her in the Broadway musical and I’ve also seen her in CW’s Arrowverse, so I know she’s a great actress. Oh. My. Goodness. 10/10 I think you guys nailed it!! There are a few people here I don’t know, but all the main characters and almost all the actors/actresses are people I’d be extremely happy to see play in this film!